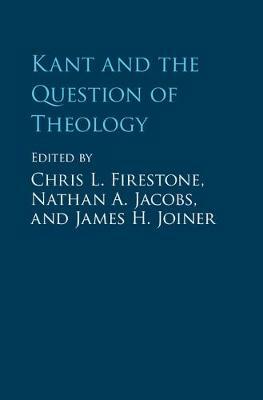 Author(s) Firestone, Chris L.; Jacobs, Nathan A.; Joiner, James H.
God is a problematic idea in Kant's terms, but many scholars continue to be interested in Kantian theories of religion and the issues that they raise. In these new essays, scholars both within and outside Kant studies analyse Kant's writings and his claims about natural, philosophical, and revealed theology. Topics debated include arguments for the existence of God, natural theology, redemption, divine action, miracles, revelation, and life after death. The volume includes careful examination of key Kantian texts alongside discussion of their themes from both constructive and analytic perspectives. These contributions broaden the scope of the scholarship on Kant, exploring the value of doing theology in consonance or conversation with Kant. It builds bridges across divides that often separate the analytic from the continental and the philosophical from the theological. The resulting volume clarifies the significance and relevance of Kant's theology for current debates about the philosophy of God and religion.